Sunshine Kelly | Beauty . Fashion . Lifestyle . Travel . Fitness: What is the need of the Lactate Dehydrogenase test? What is the need of the Lactate Dehydrogenase test? Before understanding when the test would be required, it is important to know the importance of the enzyme lactate dehydrogenase. LDH is required when sugar is being turned into energy in the cells. This enzyme can be found in lots of organs and tissues and throughout the body. It is quite common in the skeletal muscles, the kidneys, heart, pancreas, liver, blood cells and even the lymph tissues. The LDH might be released into the bloodstream when there is an injury in these tissues or organs. Thus the level of LDH in the blood would rise. The high levels of the enzyme in the blood would mean that there has been some form of chronic or acute cell damage. Though the LDH test would be able to tell if there has been some form of damage, additional tests would be required to find out the actual source of the problem. Very low levels of the enzyme can occur but only in rare cases and that is not harmful. Are there any subtypes of the LDH enzymes? What is the role of the LDH test and how would it proceed? 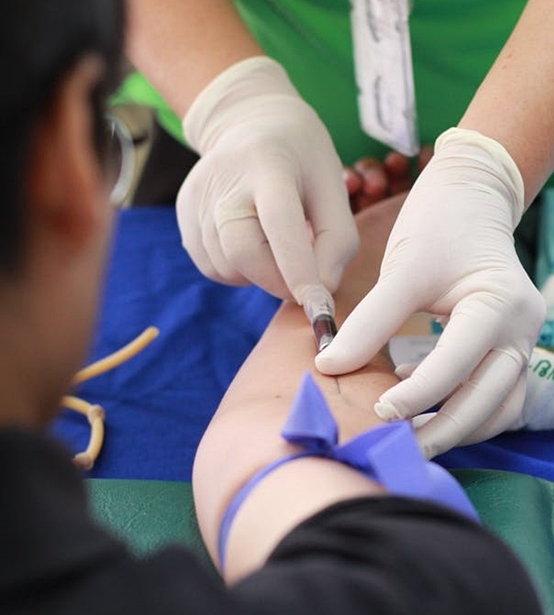 Through the test, the doctors can measure the levels of LDH in the patient's blood. The doctors can even measure the LDH levels in cerebrospinal fluid or the urine. The technician would be drawing the blood from a vein at the elbow crease. The back of the hand is also preferred at times. The technician would be cleaning the area with antiseptic and tie the elastic band for easy drawing of blood. The needle would then be inserted into the vein and blood is drawn. The needles and elastic bands are removed after successful withdrawal of blood. The process is quite similar to the test measuring the t3 normal range. A sharp tool called a lancet might be used for infants to receive blood samples. A bandage might be placed over the cut. Certain medications and drugs can interfere with the results of the LDH test. For instance, a large amount of ascorbic acid or vitamin C might lower the levels of LDH. Aspirin, aesthetics, procainamide, alcohol and narcotics might raise the levels. The same can happen through strenuous exercise. The clotting time should be analysed as well. The doctor should be asked about the medications to be avoided before the test. What is indicated by the test results? The doctors are able to evaluate the medical conditions depending on the LDH values. The normal ranges can vary with age. The usefulness of monitoring the LDH values in certain disorders and conditions are increasing with increasing research in the field. Thanks for sharing this blog about need of Lactate Dehydrogenase test. It was a nice blog. This information was useful and vital information.